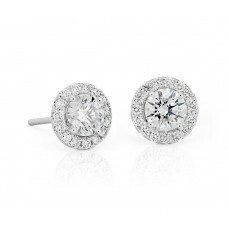 Beautifully matched, these diamond stud earrings feature round, near-colorless diamonds set in 14k .. 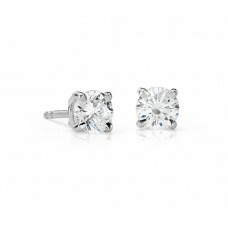 This classic halo showcases a preset 1 carat round, near-colorless center diamond set in rhodium pl..
A stunning, preset 1-carat round near-colorless center diamond set in rhodium plated 14k white gold..
A stunning, preset 1 carat round near-colorless center diamond set in rhodium plated 14k white gold..
Indulge with this solitaire diamond pendant, featuring a 14k white gold cable chain necklace and lob..
A style with incredible staying power, you can't go wrong with diamond halo stud earrings. 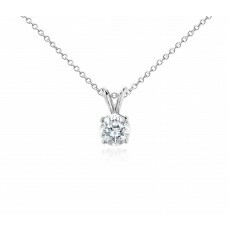 Finely cr..
A stunning, preset 1 carat princess-cut near-colorless center diamond set in rhodium plated 14k whi.. 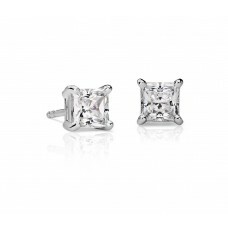 This classic engagement ring features a preset 1-carat princess cut near-colorless center diamond, ..
Brilliance is captured in these diamond stud earrings showcasing princess cut diamonds in four-prong..